Automatic Lubrication System Inspections and Auto Lube Systems Maintenance: FLO Components scheduled on-site automatic lubrication system inspections. – FLO Components – Automatic Lubrication Systems Specialist in Ontario and Manitoba. Automatic Lubrication System Inspections and Auto Lube Systems Maintenance: FLO Components scheduled on-site automatic lubrication system inspections. Our on-site automatic lubrication system inspections, conducted by trained technicians with fully equipped Mobile Workshops, will: increase your machine availability and productivity; reduce unscheduled downtime; lower on-going maintenance costs with fewer repairs and parts to purchase; reduce spare parts in inventory; and make your job easier. 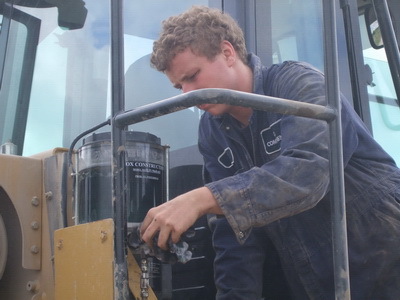 Qualified service technicians will survey automated greasing systems on your critical production machines on a scheduled basis. Your customized report will recommend areas for improvement, detail the parts necessary to implement the changes and provide budget prices for parts and labour. You only pay for what you use, when you use it! Inspection of all lines looking for leaks, excessive grease, loose fittings, etc. Automatic lubrication system layout sketch (if required).